The expanding legal quagmire surrounding the failure of the Players Poker Championship to pay in full the prize money owed to final-table finishers at the PPC’s 2016 Aruba World Championship has now resulted in a second lawsuit filed against entities allegedly associated with the PPC. In an action filed late Tuesday night in a Hillsborough County, Florida, circuit court, five players have brought action against Tampa Bay Downs, Inc. which owns and operates the on-premises Silks Poker Room. The two separate claims on negligent misrepresentation by Tampa Bay Downs and Silks Poker Room largely cover separate general areas of implied liability. The first relates in general to the active promotion, co-branding and running of satellite “feeder” events at Tampa Bay Downs. The second is more directly connected to the activities and participation of Silks management and employees at November’s event. “Tampa Bay Downs furnished dealers and floor staff for the PPC Main Event, and did a lot of co-branding with PPC,” asserted the plaintiffs’ attorney, Maurice “Mac” VerStandig, in a brief statement to Flushdraw. Four of the five players, excepting Beadnell, are already parties in an action filed in Maryland two weeks ago against the PPC, co-owners Bryan T. Oulton, Thomas “Sandy” Swartzbaugh, other PPC business entities, and, significantly, the Maryland Live! casino where a major PPC Aruba qualifier occurred. VerStandig also represents Deutsch, Lerner, Ott and Sandoval in other lawsuit, filed in Maryland, the basic of which are also noted in the Florida filing yesterday. John Ott, notably, views the Silks room as his “home” poker room, according to this complaint, even though he is believed to have won his ticket to Aruba through a private home-game tourney or league. Beadnell is the only player who is party to the Florida lawsuit but not the earlier one filed in Maryland. Beadnell, who lives in Ohio, finished second in Aruba, and was paid $10,000 of his $90,906 prize winnings. The lawsuit does not disclose where or how Beadnell qualified for the Aruba tourney. The impetus for this action’s filing, as with the one in Maryland, was the failure of the PPC’s owners to wire the remaining winnings to final-table players as promised. Each final-table finisher received $10,000 in cash in Aruba, with the promise of the remainder — the vast majority of the winnings — being wired to winners’ bank accounts a couple of weeks later. The stated reason for the delay was to ease concern over possible seizure of large quantities of cash by customs officials, but weeks after the event, it became clear to the plaintiffs that the winnings weren’t coming. Both Swartzbaugh and an “agent” for a third-party creditor of the PPC instead urged the players to accept a payout deal which would have provided the winnings over time, with no set schedule, and which would have removed other legal recourse to collect. Further information disclosed following the filing of the Maryland lawsuit showed that the PPC’s co-owners and primary executives, Oulton and Swartzbaugh, may have been “robbing Peter to pay Paul” by using funds generated from one event to pay large winners of previous events, rather than having those prize funds properly segregated. Plaintiffs’ attorney VerStandig has claimed the operation is an ongoing “Ponzi scheme” and reiterated those claims in the Florida action filed last night. Both Oulton and Swartzbaugh have deleted their personal social-media accounts in the wake of the allegations. The PPC’s online home has also seen most of its contact de-linked from the site’s main pages, rendering much of the content related to the previous PPC qulaifiers hidden from easy view. 70. The Plaintiffs incorporate each and every preceding paragraph of this Complaint as though fully set forth herein. 71. Tampa Bay Downs’ website formerly contained a “(PPC) Players Poker Championship” page (the “PPC Page”), clearly indicated on menu bars in the poker portion of the website. 72. The PPC Page advertised the Silks Poker Room logo alongside the PPC logo. 75. The PPC Page included a link to PPC’s own website and social media accounts. 76. The PPC Page guaranteed that the prize pool for at least one PPC event held at Tampa Bay Downs would equal or exceed Fifty Thousand Dollars and No Cents ($50,000.00), of which twenty percent (20%) would be applied toward entries in the PPC Main Event. 77. Tampa Bay Downs, through hosting PPC poker events, advertising its partnership with PPC, the PPC Page, and otherwise, represented that PPC is a legitimate poker tour hosting poker tournaments in which participants are able to win monies. 78. Tampa Bay Downs, through hosting PPC poker events, advertising its partnership with PPC, the PPC Page, and otherwise, represented that PPC is not a fraudulent Ponzi scheme converting prize pools to the benefit of its owners, insiders, vendors, and creditors. 79. These representations were made by Tampa Bay Downs without knowledge as to their truth or falsity. 80. These representations were made in advertisements aimed at inducing individuals to play in PPC events – both at Tampa Bay Downs and in Aruba – and thus were clearly intended to induce reliance on the part of members of the general public. 81. The Plaintiffs, in assessing whether or not to enter feeder events and the PPC Main Event, evaluated the credibility, vel non, of PPC by its partnership with, inter alia, Tampa Bay Downs. 82. Mr. Ott regularly plays poker at Tampa Bay Downs, regularly views its advertisements, and regards Tampa Bay Downs as his “home” poker room. 83. The Plaintiffs have each been accordingly damaged in a sum equal to the monies they are owed pursuant to their performance in the PPC Main Event. 84. The Plaintiffs incorporate each and every preceding paragraph of this Complaint as though fully set forth herein. 85. 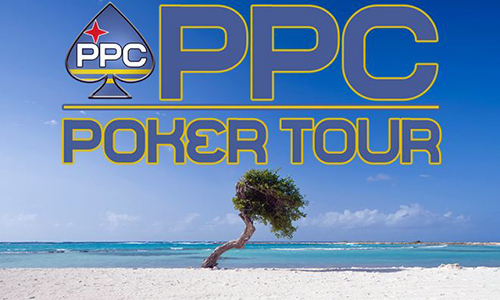 Tampa Bay Downs, by sending its poker staff and at least one poker administrator to Aruba to operate the PPC Main Event, represented that the PPC Main Event is a legitimate poker tournament in which participants are able to win monies. 86. Tampa Bay Downs, by sending its poker staff and at least one poker administrator to Aruba to operate the PPC Main Event, represented that PPC is not a fraudulent Ponzi scheme converting prize pools to the benefit of its owners, insiders, vendors, and creditors. 87. These representations were made by Tampa Bay Downs without knowledge as to their truth or falsity. 88. By literally operating the PPC Main Event, Tampa Bay Downs intended individuals to rely on its representations and tender monies and other valuable consideration to play in the PPC Main Event. 89. The Plaintiffs, in assessing whether or not to partake in PPC events, and in assessing the veracity of PPC’s claims concerning the forthcoming nature of the Remaining Funds, relied on the professional staff furnished by Tampa Bay Downs conferring an aura of legitimacy upon the PPC Main Event and the PPC as an entity. 90. The Plaintiffs would not have expended efforts, spent monies, and applied their skills in participating in PPC events but for the tour’s aura of legitimacy, and would have sooner brought legal action to sequester the Remaining Funds but for the aura of legitimacy conferred upon PPC by, inter alia, Tampa Bay Downs. 91. The Plaintiffs have each been accordingly damaged in a sum equal to the monies they are owed pursuant to their performance in the PPC Main Event.